Quilt Fest 2017 Special Exhibit Submissions! Have you figured out which quilt(s) you are submitting to be chosen to hang at Quilt Fest in our special exhibit: Modern Quilts: North Jersey Modern Quilt Guild yet? • We are able to display about 30 quilts. • A committee will review entries to curate the show. Please keep in mind this is an exhibit that should showcase your best modern quilt work. This is an exhibit that is included in the show, in part, to raise awareness about the modern quilt movement. • We encourage submitting mini quilts and multiple quilts! • After submitting the form please email 1-2 photos of your quilt to njmqginfo at gmail dot com. Please name the file with your last name and name of the quilt. Example: “Surname_Quiltname.jpg”. • Please submit by Monday, December 19th Edited to add: Deadline extended! Submit by Wednesday, January 4th! – Each quilt should have a 4″ sleeve sewn on the top for easy hanging. – The exhibit must be shipped as a group in as few boxes as possible or delivered to the Convention Center as a group by a maximum of 4 people. We can arrive any time during the afternoon of Wednesday, March 1. The quilt show will close on Sunday, March 5 at 5pm. We will coordinate drop-off and take-down at a later date. 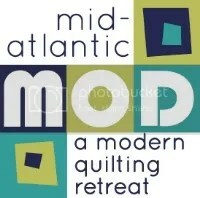 • Wondering if your quilt(s) is “modern enough”? Submit anyway! There are many areas/categories that modern quilts fall into and we will do our best to showcase a breadth of work that represents modern quilting. • Do you have a quilt top/top in progress that you know will be complete in time to be hung in the show? Submit it! • Please contact us at njmqginfo at gmail dot com with any questions. We are so excited to see your amazing work! ← Reminder: November 2016 Guild Meeting this Thursday! I know this is not about the quit show but I would like to know how to connect with CJMQG about the search for teachers???? I will get my entry for submission for this show after Dec.6. I am off on a special vacation for our 40th wedding anniversary in a few days as soon as I get back you will have my entry. Please contact Neva at centraljerseymqg at gmail dot com about the search for teachers. Sounds good! Have a Happy Anniversary and a wonderful vacation!